Vinyl zip-up pouch. Three hole punch ready. 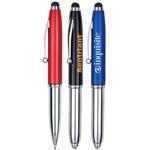 Perfect for school organization.? 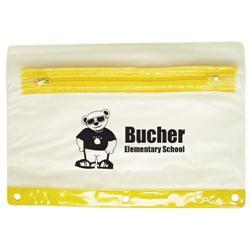 The kids will be using this promotional pouch all year long!!!?? 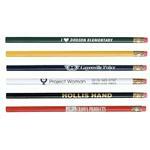 Please inquire for pricing to add imprinted pencils, sharpeners, rulers and more. Typical Imprint Area(s): 6" x 3". Vinyl zip-up pouch. Three hole punch ready.